I continue to struggle with whom I should believe relative to pitching rates of DRY yeast. Both Wyeast and White Labs products seem to accurately present the home brewer with a clearly known and validated yeast cell density – as well as accurate “born on” dates that allow us to calculate the viability. This is not true (for the most part) of dry yeast. I believe that part of the issue, with my goal to emulate pitching practices of a commercial brewery, is that the brewery will nearly always get fresh and healthy (and hopefully properly handled) dry yeast packages. My local microbrewery regularly goes through a tremendous amount of yeast, whereas the home brewer is picking up sachets at the LHBS… and the handling is unknown, or at least unpredictable. Fortunately, I believe the turnover rate for popular strains, such as US-05, Nottingham and others means that I am getting relatively fresh sachets. However, when I look for more obscure or new styles, then who knows. AHS is a fairly popular store and their turn over is decent… I have some confidence I am getting very viable product. But how I handle that product – is then another point of question. Let’s be clear that I am talking about viability – which will impact the overall yeast density variable from a sachet. I have lately been treating the packets much more like I would liquid yeast or hops – bringing along a cooler with some ice packs to ensure they stay cool. AHS stores their dry yeast in a cooler next to the liquid yeasts. So I believe the issues may finally come down to handling, and how manufacturers account for mishandling in their estimates, versus the assertions of MrMalty or the excellent work of Sean Terrill and others with the lab ability to count viable yeast. Dry yeast manufacturers seem too often contradict themselves, when stating in product data sheets a density of 5 billion cells per gram, and then claiming a single 11 gram sachet is ideal for fermenting a 5 gallon batch of 1.050 wort in blogs or interviews. They claim then they are providing 55 billion yeast cells (pitching rate) when we should be requiring ~175 billion cells for that volume and gravity (MrMalty claims density of dry yeast at 20 billion cells per sachet). This is also slightly over half the density we can expect in a fresh vial or smack pack of liquid yeast at 100 billion yeast cells. Brewer’s Friend agrees with the pitching cell count at 176 billion cells, but disagrees with cell density from the sachet (estimates 10 billion cells per package), but you can change the cell density if you choose. This is the key area of concern… NO ONE AGREES on the cell density of a dry yeast package! If the manufacturers are right, then we are probably under pitching by a large margin. If MrMalty (Jamil) is correct, then we are more or less slightly overpitching. Making an informed and accurate recommendation is then going to be difficult to provide to a novice brewer. Below, I am pulling the information from the manufacturer website, and/or product data sheets. A very popular yeast strain for brewing and ciders. Density is claimed to be 5 x 109 yeast cells per gram. Sachet is 11 grams. Per the data sheet: “When 100 g active dry yeast is used to inoculate 100 liters of wort, a yeast density of 5-10 million cells per milliliter is achieved.” A 5 gallon batch is 18.93 liters, which suggests a pitch of 19 grams of dry yeast, roughly 2 – 11 gram sachets. Looking at the case of my yeast pitching experiment, I used T-58 from Fermentis in (3) 1 gallon fermenters, attempting to ½ pitch, control pitch and double pitch to evaluate flavor and attenuation impacts. A popular “Belgian” styled strain for brewing with a spicy profile. Density is claimed to be 5 X 109 yeast cells per gram. Dosage instructions from the data sheet: “50 – 80 g/hl in primary fermentation.” At the highest recommendation that rate equates to roughly 3 grams per gallon. This is very close to the 3.3 grams I pitched as a control (1.6 g/gal half pitch, 3.3 g/gal control, 6.6 g/gal double), the increase due to the 1.065 OG. So based again on my experiment, my control pitch is pretty close to the manufacturer settings, but higher or lower than the MrMalty or Brewer’s Friend recommendations. So I am proving very little, because I have no authoritarian basis to determine yeast density, other than a general impact on flavor (subjective) and attenuation. In an earlier post, Pitching Rate Theology, I recommended finding a standard (manufacturer, MrMalty or Brewer’s Friend – or your favorite recipe builder) and sticking with it. I should modify that to include brew often and experiment slightly carefully observing the differences in your beer. 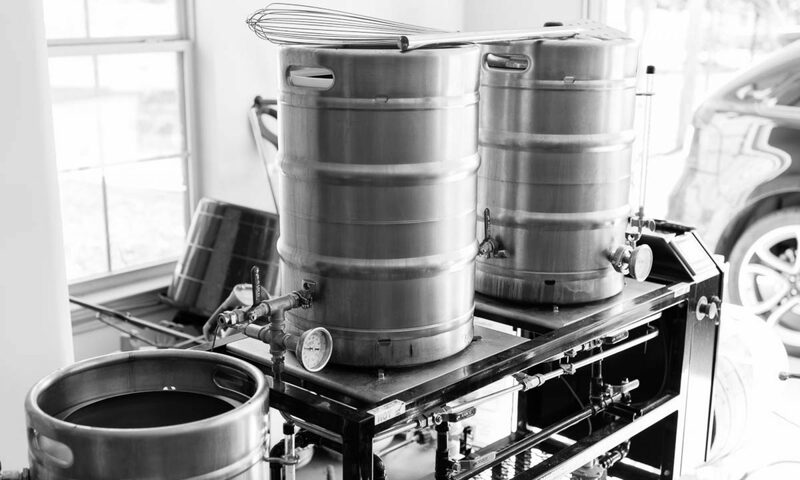 Last year, Jamil Zainasheff did a podcast on Repeatability Brewing – an excellent explanation of the need to document and carefully measure your process and eliminate variability in the final product… how you use yeast should be no different. There is no effective difference between dry and liquid yeast in the final product, relative to the required cells of yeast for a good and healthy fermentation. We should all choose and use a target pitching rate as a consistent baseline and learn to manipulate yeast as an ingredient through pitching rates, fermentation temperatures and even reuse to create the product we expect.